Baldness, droopy lids and X Mas -What is it? 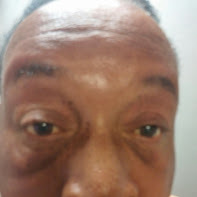 65 year old male with baldness and droopy lids presents with decreased vision secondary to cataract. 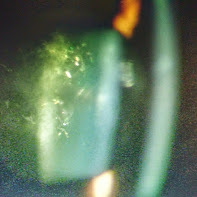 Examination of the cataract reveals what is shown in the photo. what is the diagnosis?